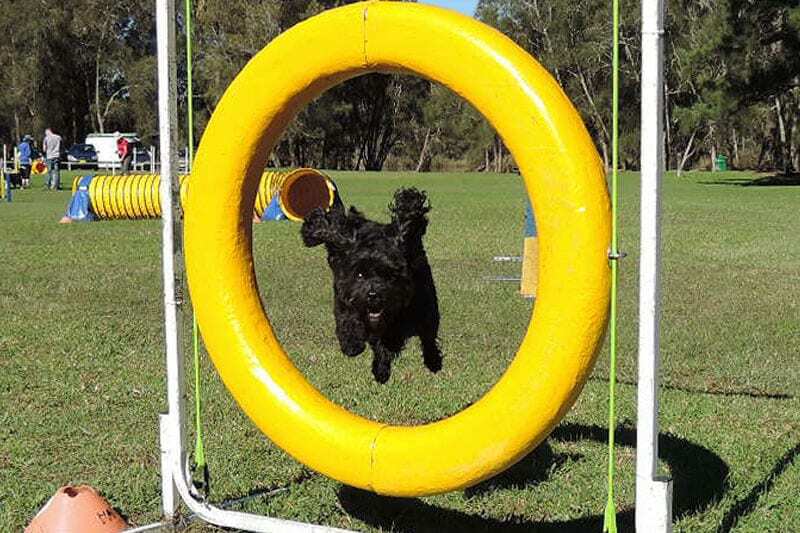 Dog Agility Northern Beaches. Weekly classes Deep Creek Narrabeen. 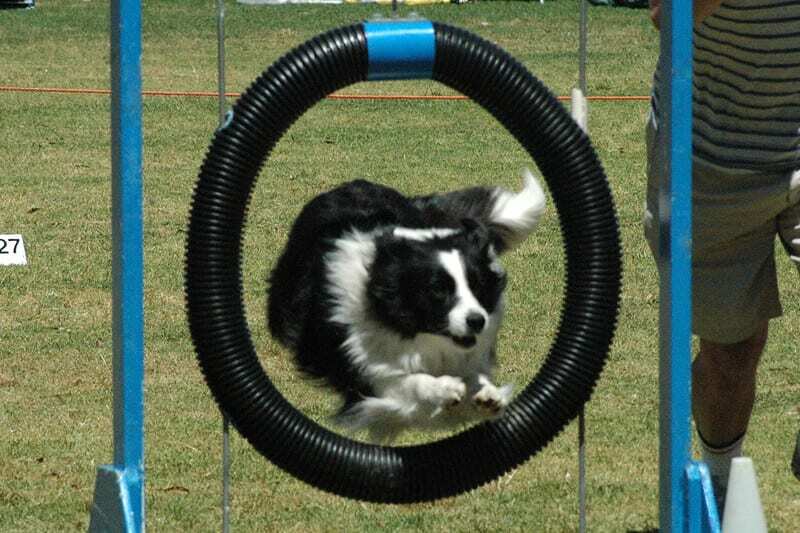 Agility is a fast, exciting and fun activity for you and your dog. 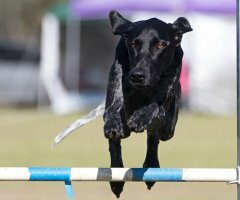 It involves handlers (you) directing dogs around obstacle courses, attempting to negotiate the obstacles correctly and to make or beat the course time set by the judge. 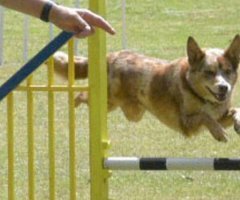 The obstacles comprise various types of jumps, tunnels, hoop, a-frame ramp, elevated walk, see-saw, and poles that the dogs weave through. 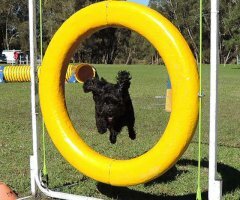 The sport of ‘Agility’ includes Agility courses with the above obstacles as well as Jumping courses with just jumps, hoops and tunnels. It is structured for all breeds of dog. 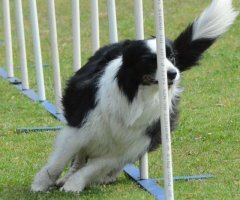 Agility training or trialling is great fun and is an exciting and challenging way to enhance your leisure time with your dog. 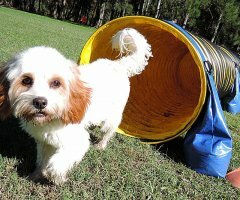 It enables you to provide a release for your dog’s energy and your energy in a way that can be much more interesting and exciting than just taking them for a walk. It helps your family pet become more responsive to you and also helps you to gain more control. A great by-product of all the positive training involved is also a much better bond between you and your dog. 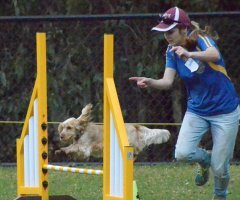 Manly and District Kennel and Dog Training Club provides positive Agility training on Saturday mornings. 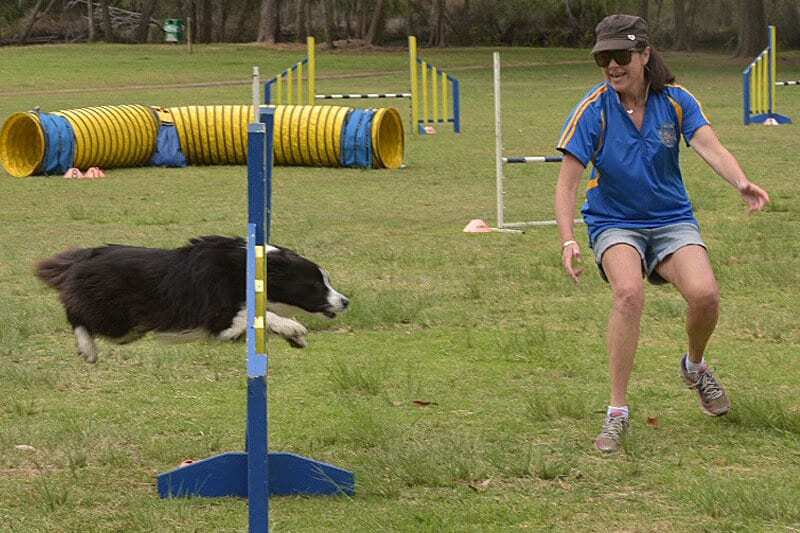 We also run a ‘course day’ each month so everyone gets to have a couple of runs around an Agility or Jumping course with their dog to test what they’ve learnt. 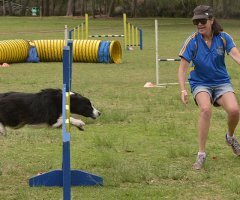 Many people are happy to just train Agility with their dogs, increasing their mutual skill levels along the way, without ever actually competing at an ‘official’ Agility Trial. Others love the challenge and thrill of competing at Trials. 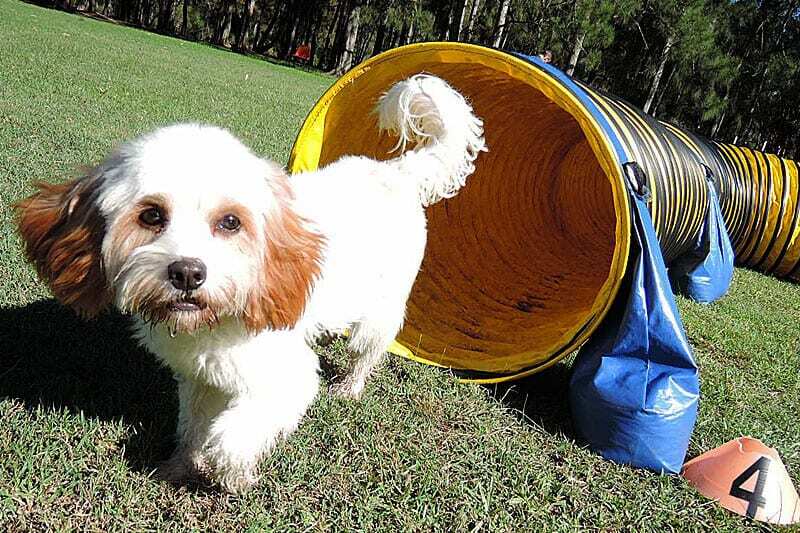 Manly and District Kennel and Dog Training Club caters for both. 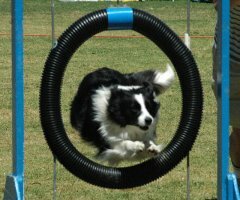 Official Agility Trials are held all around each state and at national level. 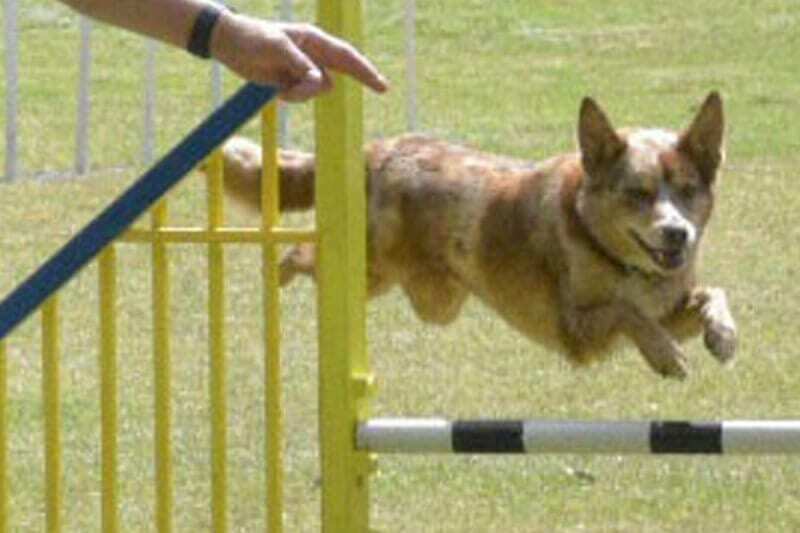 The judge designs and sets up the obstacle course, measures its length and calculates a standard time the course should be completed in by the dog. 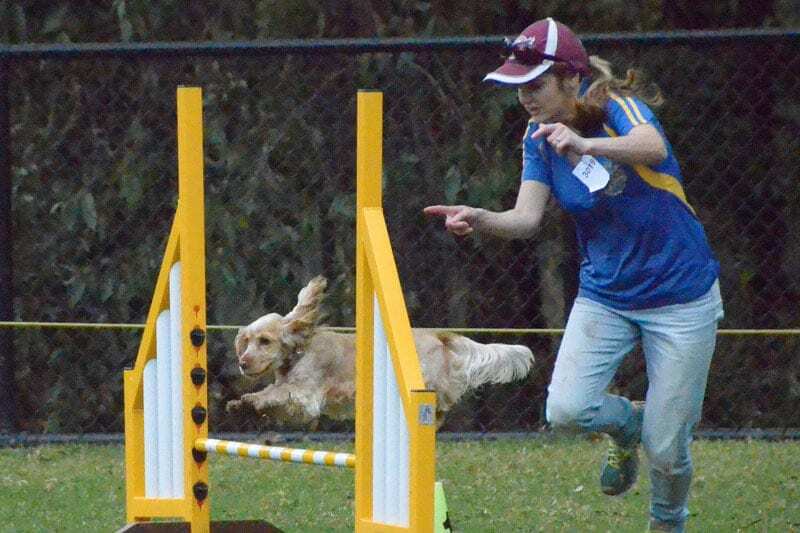 Each handler directs their dog around the course, attempting to run it within the set time and negotiate all obstacles in the correct order and correct manner, while receiving no course or time penalties. If this is achieved, a qualification card and possibly a prize are received. 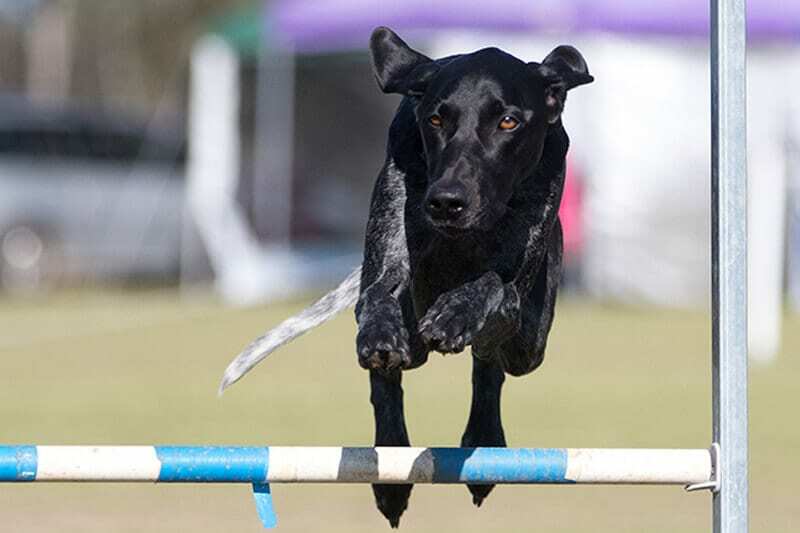 There are several levels of competition at Agility trials ranging from novice Agility and Jumping courses to suit dogs new to the sport, to master level for more experience. 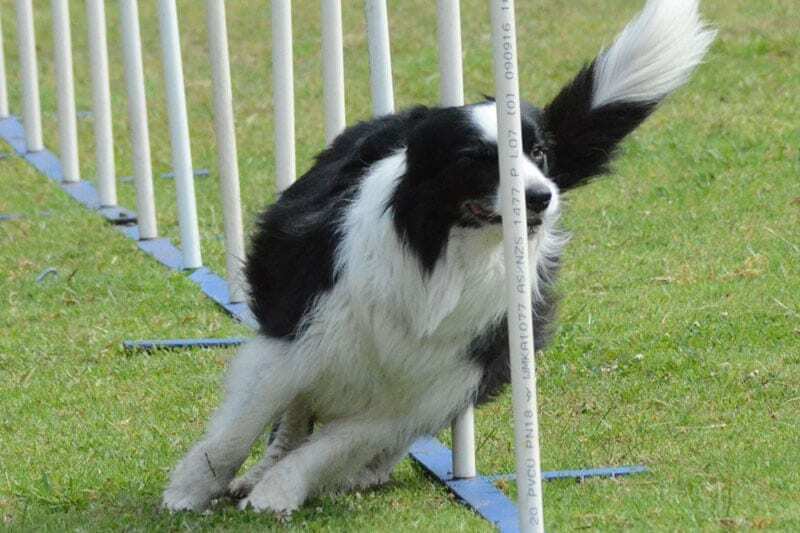 Please note existing members can only start agility on the first Saturday of the month.